Gifts for children There are 52 products. All the accessories you need for your child bullfighter costume: a montera, a cape, a sword and a pair of banderillas. With these accessories, you become a real bullfighter. The banderillas are 15.6'' long, the sword 19.5'', and the capote is 35.1'' wide by 19.5'' high. 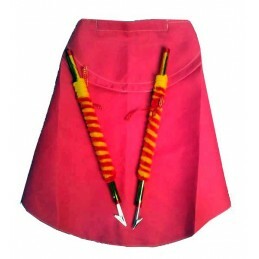 Child montera for infant bullfighter costume. 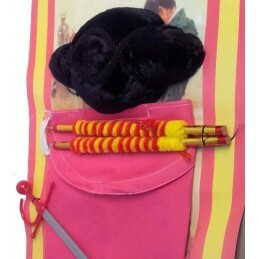 Complete your bullfighter costume with this funny montera, made with synthetic black hair and with red lining. Available in two sizes: large (7'' diameter) and small (5.5''). Pair of "banderillas" for a child bullfighter costume. The banderillas are 15.6'' long. The picture shows a cape that is not included in the price. We also have a pack of complements for bullfighting matador costume. 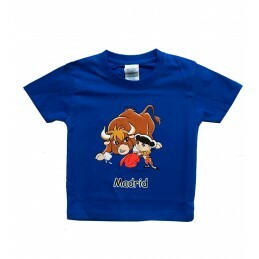 Funny shirt for children with an angry bull. Infant unisex T-shirts, 100 % cotton. 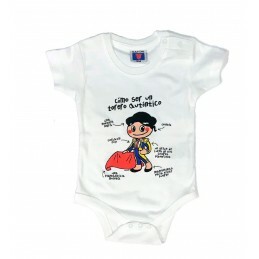 Available in sizes from 2 to 12 years. Unisex children's t-shirts, 100% cotton. Bright colors and fun designs for the little ones. 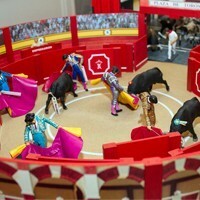 Has as the main reason a small child dress like in San Fermín running after a bull. Body for babys "torero" design, 100% cotton and in white color. How to be a real Matador? all the names of a bullfighter costume. Only in two sizes, for babies of 6 months and 12 months. 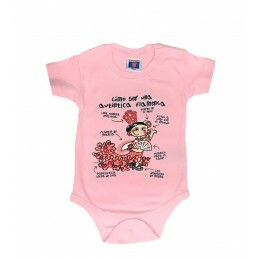 Flamenca baby body for girls. Short sleeve and 100% cotton, light pink color and a funny picture that says "How to be a authentic flamanca dancer, with square bracketes in the bottom for diaper change. We have two sizes, 6 months and 12 months. Funny socks for boys and girls, we have three models: Madrid letters, Flag of Spain and Flamenco. 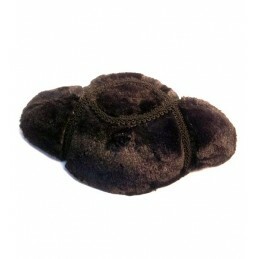 Composition: 85% cotton, 12% Polyamide and 3% Elastane. Wash in cold water.